Also known very quietly as Project R-E-V, this was something I felt like I "needed" to do. So here we go... this is a Pre-Alpha build. There is DEFINITELY gonna be some funky stuff (listed a few things in the read me text that you will need to know before ya download). But I hope you enjoy. Yes, these are edits, but with my own style/mechanics i'm starting to work on. I will, however, code my own chars in the future. I just want to improve my work on both chars and the IKEMEN engine itself (which I am sure you will be pleased with). So glad I woke up to this. This is probably the best combo system in mugen to date. Well time to start looking for Blues Clues to figure out who to add to my character suggestion list. And remember characters that qualify for this beuatiful combo system will be on the clues, Blues Clues. You should show more of the actual engine changes. Like those modes and menus. That's what most of us would like to see. You should consider using the Hi-Res CVS hitsparks Kojiro made in his Makoto, it'd look much better seeing as infinities characters already have CVS2 sparks, easy swap. I was thinking about it myself, but I'm too lazy. I'm working on the engine part... Just wanted to also focus on the "other" main aspect; the gameplay. I already got a few modes planned and being worked on for later releases (most likely might end up in later beta stages, or official 1.0 release). As for the CvS Hitsparks, I can check them out I suppose. 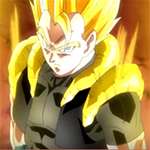 And as for the Afterimages, which super were you referring to? Alright, well will be looking out for more on that then. Those hitsparks look kinda cool. 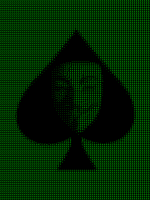 And I'll check out the afterimage (if needed to remove). It's a W.I.P, but I feel like I need something... How can I improve on this? Or re-make it to something better? Not feeling the dark hue of the blue you chose for the big bar. Maybe make it a sinch lighter? You really think so? Should I work on anything else? Btw, the pink is gonna be for custom portraits (not finished). I feel that the color is fine. In regards to the other design aspects, I don't have enough experience with life bars to tell you about anything else. Try talking with Demitri, HUNGRY WOLF, or Big Boss, I think they could help you more in the area of design in regards to your bars and what-not. Tried a different design... 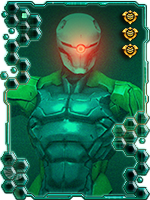 I felt this works better (with the way the Alpha looks atm, and color scheme... Thoughts? Thanks man. I might increase the size on the special bar, though. If you get the pun, please give me an award for best MFG comedic. Any who, I was messing with SweetFX and managed to get some... interesting results... Thoughts? Awesome project can you give me a download link for the sweetfx and can you show us how to make it work on ikemen? I simply used the same files of SweetFX from CVSU and copied the needed files. Then I just edited the main settings on SweetFX. I'll be releasing a new alpha build with the SweetFX included. As for the SweetFX by itself, I honestly don't know where you could find it. I think a simple Google search can help you with that. Hope you like the project and have fun with what's in it so far. In cased the live stream was missed, here's the full archived vid. Thoughts? Opinions? I'ma use this with the id I showed earlier (it's under spoiler in cased ya missed it). I'm gonna use it for different modes and when the characters get selected. Its actually not bad tho, but are you going to replace the characeters voice? Hey dude, i've spent some time playing this demo and i want to ask why Ryu's crouch HP/HK doesn't combo into specials? Lol, my b. I'll fix that up, thanks. I was watching your stream replay and I have some suggestions/critiques for the game. I can see what your trying to do with the basic grab but I quite feel it's quite awkward with it just sending the opponent the other direction without any follow up. I feel that it would be better if it were more like the basic grabs in the Samurai Showdown series and/or Iori Yagami's command grab where the grab itself doesn't do any damage and you have to provide the hit. You'd might need to have some frames made for it for the character turning the opponent unless you want it to look like how the animation is currently. Are the stages in the game final or are your going to get custom stages done for it? I think the bars for the A,B,V bars don't fit with the bars on the top and just looking off putting in general. (unless it's temporary) I'd think they'd look better if they were similar to the life bar. 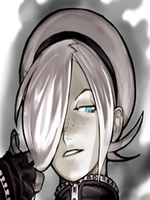 I feel that jill's flare super could be OTG and/or have a bigger hit box. 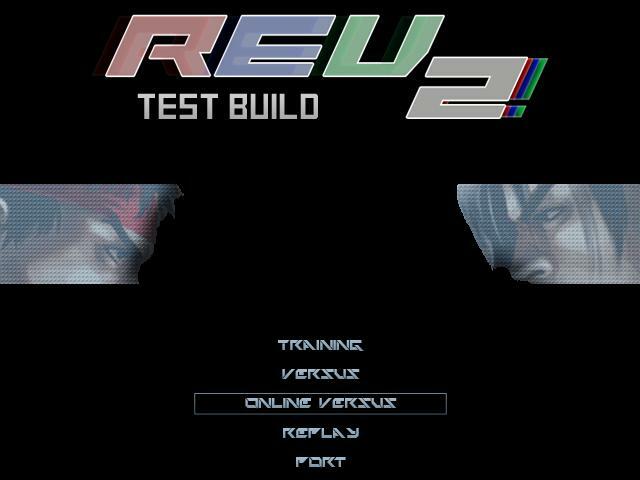 I'm assuming this full game is suppose to be mainly MvC with CvS2 and derivative sprites with other gameplay aspects. Fclass got your message he is having technical difficulties. I showed him what you said and he thanks you for the feedback. - Interesting... I might have to play more SS though to see where you're coming from. I'll check what's up (although the grabbing itself isn't that difficult, it's just Forward/Back + HP). - The stages are most likely final. As for custom stages, I have considered trying it out soon (although I have edited stages before, I can't say that I have made one but there's a first for everything). - You mean the R-E-V bars or the systems? Yeah, it's temporary. I'll see what I can create later down the line. - idk about the otg part tbh, but I could check the hitbox. - Kind of? I do want the basic combo system to be similar to marvel (with the chains and air combos), and mechanics I made are set for now (well, they are similar to other fighting mechanics that exist and we're inspired by such, but not necessarily taken from a game specifically and if so I tweaked it a bit to differentiate it). 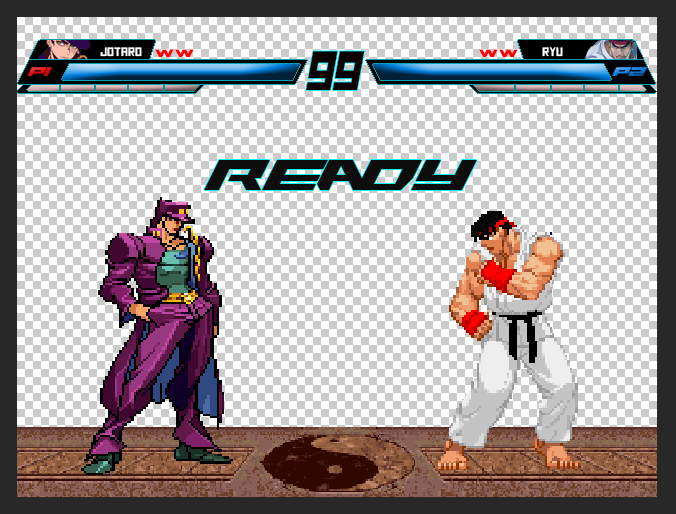 As for sprites, I don't have anyone helping me in that department (same for many others besides testing atm), so I just use what I can get (I will try not to use sprites that are too different from each other besides maybe Jotaro). Thanks for the feedback though, much appreciated. I hope you enjoy the project, as I got some stuff in-stored (ESPECIALLY for the 1.0 release which I'm gonna keep as a surprise for now). I suggest you check out the demonstration vid on the first topic for an idea I want to go for mechanic wise if you haven't already. Thanks Carlos. I really gotta talk to my ISP. Anywho, I guess I'll post a more legitimate update. UPDATED! NOW BETA BUILD #1! Download link is on the first post! Thanks. Hope you enjoy. bugs are still out there, so feel free to post feedback and stuff. Since I might not be able to check MFG a lot cause my home net (you can still send it here though), it's best if you can add the feedback to my Youtube (PM or comments) or on Mugen Free For All. 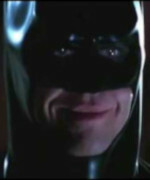 Regardless, enjoy. More to come! Wow when I get my stick ill Stream it. This update looks great. Lol, really? I've never played Castle Crashers. Ignore horse... 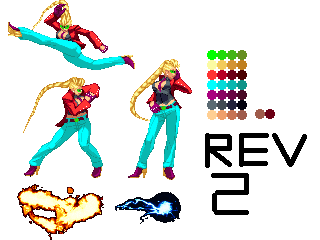 It's just some kind of idea for Rev 2 Super Portrait or something... I wish I could get a better effect, but you think it's ok? Any suggestions? Yeah, it's pretty interesting and looks original. Keep it going and let's see, how it turns out. I'm trying to create a concept for the title screen. I'll move on to the rest of the menus later on in a certain order. The bg are different tube tv screens that will occasionally play a portrait of a character in the game (dunno to either have them as silhouettes or not), while a layer of static covers over them. 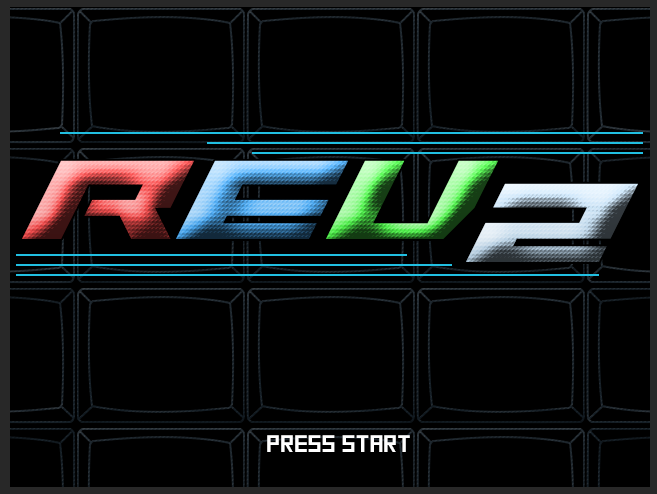 Then the "REV 2" logo will slowly fade in (with of course "Press Start" blinking afterwards). Applied the static and removed some of the bevel from the text for comparison (and maybe it's better without it?). 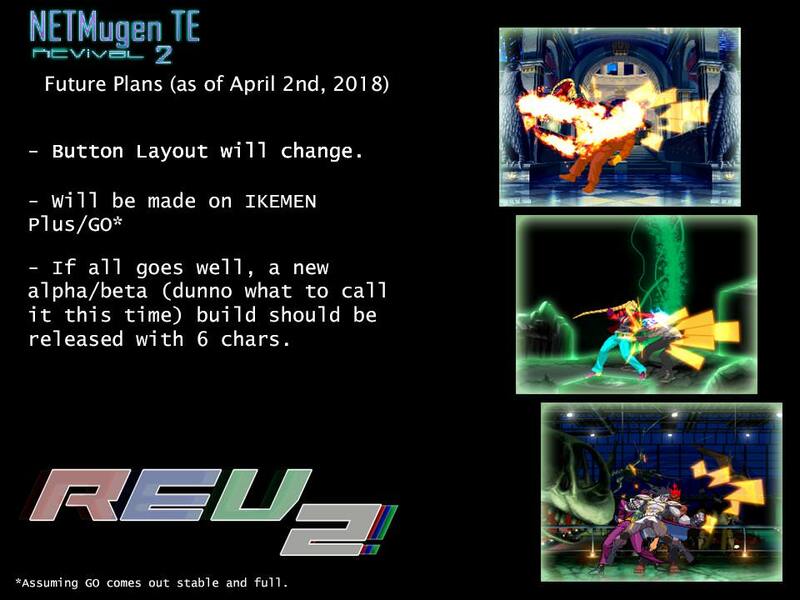 This is for NETMugen TE Revival 2 (or... just REV 2...). Just a simple idea for an intro... Any way I can improve this or make it just... more? Or is this good? Not a graphics guy, but tryin'. Man, this is looking pretty good!!! Thanks man... I got some feedback on discord so soon I'm gonna give it another shot which hopefully might even be better. Version 2 of the intro... What do ya think? Man that was really a sick intro, very original. How did you create the static animation, in the opening logos. Looking like a pro with this one. Where'd you get the CS, just curious. Oh I see. Also you should note that the original is by me. Word, was it? The guy I credited said he made it and gave it to me to help out. I'm sure you knew, but it's fine. Take what you can get, you are welcome. Yeah my bad, it's fine though. Pssh... You got your nerve. I just got back to some coding on NETMugen TE Revival 2. It's pretty rough, but I can at least say that the core gameplay is mostly complete (just gotta iron out some things, add some sounds and effects, more testing, etc.). I still got some fine tuning left, but i wanted to at least show some progress on the char. I hope you like what I got so far. Eventually. I haven't decided on what I wanted yet, so I left it blank for now.